After more than 20 years of civil strife, the people of northern Uganda face considerable sexual and reproductive health challenges stemming from the massive disruption of services, internal displacement, and erosion of traditional social and family structures. Additionally, gender-based violence is widespread in northern Uganda. Women and girls living in conflict or post-conflict settings are particularly vulnerable to gender-based violence, a major cause of morbidity and mortality, as well as unintended pregnancy. Violence rooted in gender inequality is compounded by notions of masculinity, including the need to dominate women. 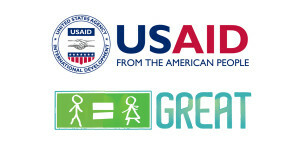 The Gender Roles, Equality and Transformation (GREAT) Project aims to promote gender-equitable attitudes and behaviors among adolescents (ages 10-19) and their communities with the goal of reducing gender-based violence and improving sexual and reproductive health outcomes in post-conflict communities in northern Uganda. Adolescence, early adolescence in particular, represents a window of opportunity to promote positive and lasting, gender equitable attitudes and behaviors. It is during these early years that gender norms and identities begin to coalesce, laying a foundation for adult relationships and sexual and reproductive health. In order to develop effective interventions, more needs to be known about how boys and girls come to experience and define themselves as men and women and how harmful constructions are, and might be, contested. It is critical that interventions are not only effective but also feasible for programs to implement at sufficient scale to make them transformational and broadly adapted. Ethnographic Research: IRH and partners conducted ethnographic research to understand how gender norms are learned, internalized, and passed on and why individuals would be motivated to change harmful norms. The ethnographic research design included innovative qualitative methods (e.g. photographs, mapping, and stories) during the collection of life histories from young people at different stages of the life course (very young adolescence, older adolescence, newly married, and newly parenting) and in-depth interviews with individuals nominated by youth as being significant influencers in their lives. Program Review: An extensive review of existing programs was conducted by GREAT partner, Pathfinder International, which aimed to identify evidence-based and scalable approaches, promising interventions, and innovative ideas that address adolescent sexual and reproductive health, gender, and gender-based violence. Once the intervention package was developed, the team conducted a baseline survey in schools and households in order to measure key knowledge, attitudes, and behaviors before the start of intervention activities. The baseline survey will serve as a source of comparison data to data collected after the end of project activities. In addition, initial interviews were conducted with a cohort of 60 young people who will be interviewed every six months over the life of the project. The results will increase understanding of how gender norms evolve over time and provide information on the ways that youth are engaging with components of the GREAT interventions. The GREAT implementing partners are distributing the toolkit to school and community groups in Lira and Amuru districts. The distribution includes orienting group leaders and members on the use of the toolkit components. The scalability of GREAT rests in its strategy of diffusing information through existing groups with minimal orientation. These groups will be the catalysts for spreading GREAT themes within their communities. Additionally, the project is setting up monitoring systems which involve community members in in collecting, analyzing, and using data to improve the interventions. Over the course of the project, all intervention components will be piloted and evaluated for impact. Successful components will be scaled up to additional districts in the final year of the project. Momentum has already started building around the toolkit, with stakeholders in and outside of Uganda interested in integrating tools such as the board game, radio drama, and adolescent flipbooks into their programs. We believe that if this early interest is of any indication, the GREAT model has the potential to contribute significantly to best practices in VYA research and programming and improving adolescent health outcomes.